With Wonder Woman about to make her big screen live-action debut in 'Batman V Superman: Dawn of Justice' this weekend fans will be clamoring for more of the Amazon princess. Warner Bros has released a group shot, through Entertainment Weekly, of Gal Gadot, Connie Nielsen, Robin Wright, and Lisa Loven Kongsli as Themyscira's amazon warriors. Finally, one of pop culture's most famous icons will be getting her own film after decades of neglect. I just wished the first image of Diana Prince's mentors had included a woman of color. First, let me be clear, I'm ecstatic that Wonder Woman gets her own movie after her counterparts, Batman and Superman, have gotten multiple movies over and over again. This is long overdue and by all reports, Gadot nails the spirit of the character with elegance and fierceness in 'Dawn of Justice.' Production has already started on 'Wonder Woman' and the casting of Wright and Nielsen, two powerful actresses, as her aunt General Antiope and mother Queen Hippolyta respectively raised expectations. However, with the release of this new image the curious addition is that of Antiope’s lieutenant, aunt Menalippe played by Kongsli. I'm sure Kongsli is a fine actress but wouldn't a more logical and yes diverse choice should have been Phillipus? She helped train Diana from a young age and was a close friend of her mother. 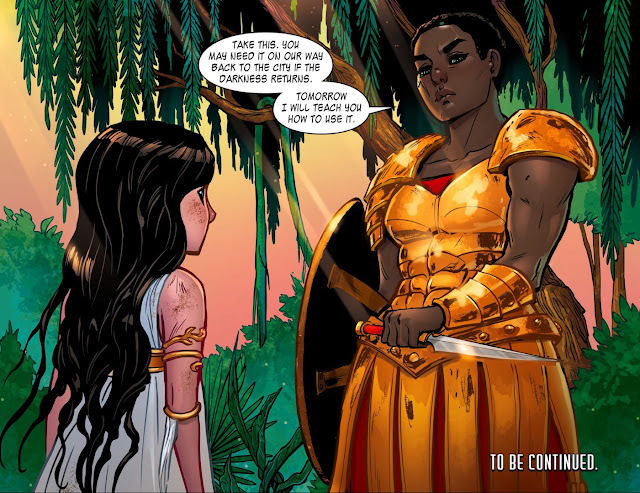 She represents one of the few black characters in Wonder Woman canon. The Amazon Nubia is the other who saw Diana as a sister. Instead, we get three family members in the first shot of the Amazons. Could I be a little premature in my criticism? Sure. Could there be women of color we don't know about? Absolutely. We do know that Spanish actress Elena Anaya was cast but her role is unknown. And as I was writing this, director Patty Jenkins tweeted some reassurance about the movie's diversity. Thanks all. Excited to share! And no worries. 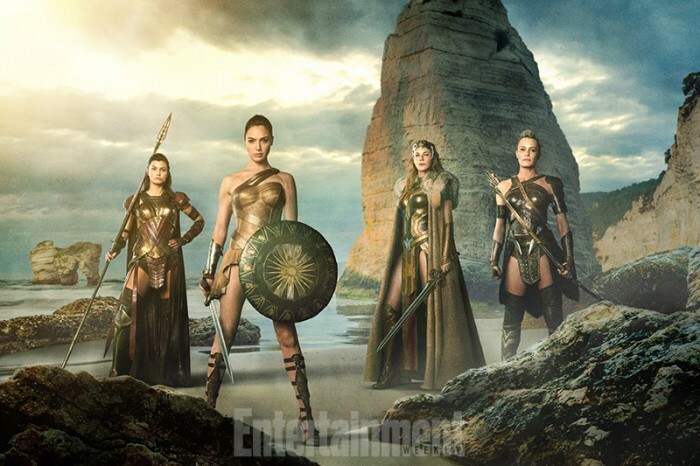 Lots of great, diverse characters on Themyscira. This is Diana's direct family. More soon!! In this sensitive climate where the public has been vocal about the blatant disregard for diversity in television and movies, a first impression is important. Seeing an all-white image of one of the most anticipated movies to come is a little jolting considering the ongoing campaign for movies to be more racially inclusive. A campaign like #OscarsSoWhite delved into the heart of the matter when it came to representation at the Oscars for the lack of black nominees despite numerous worthy performances and projects. So you can understand my immediate irritation as yet another white-out of a fantasy film. I would hope studios have learned from their failures of white-washing films like 'Noah,' 'Exodus,' and 'Gods of Egypt,' that their downfall was in part to lack of racial representation. Movies with diverse casts make more money and you would think that would be enough to spur studios to do the right thing. I'm excited to see more of what 'Wonder Woman' has to offer. Perhaps my fears will assuage and we'll see Phillipus and/or Nubia in the film as well as other Amazons of all shapes and colors. I know it's early to worry but never too early to be vigilant. Wonder Woman is scheduled to debut on June 23, 2017.